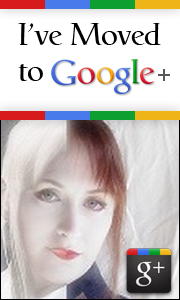 I have moved to Google Plus that I love more and more. I have friends all over the political and religious spectrum, and we manage to have actual civil discourse about issues without the usual hateful remarks or flat out trolling. It's amazing! The downside is that my traffic to my blog is way down since so much of it was driven by Facebook. So I'm forging new paths on Google+ and using Twitter a bit more. It's coming back up, slowly. I'm keeping my blogs, my Twitter account, and LinkedIn. I'm only dropping Facebook - because honestly, it's only Facebook that pisses me off this much. You can find my Google + profile here: http://gplus.to/marijohnson . Circle me, and if you let me know that you're a tango dancer, I'll share my circle of 200+ tango dancers in my circles for you to get started making connections. If you're just starting out with G+, please remember to fill out your profile and post a few times to make it easier for folks to know what you're about and circle you back. I was off FB for a month, then some family events, a new baby, and my frustration with having lost connections put me right back! I have no desire to go over to google, but let me know how you like it. Ir feels like everyone has to go over like lemmings for it to work.